From the hilarious horror film Bride of Chucky! 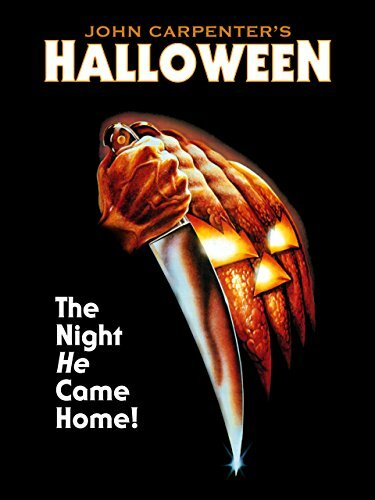 The world's most notorious doll is back on the Rampage, but this time he's met his match his old flame Tiffany, who with marriage in mind rescues his parts from a police impound and breathes new life into the little guy. 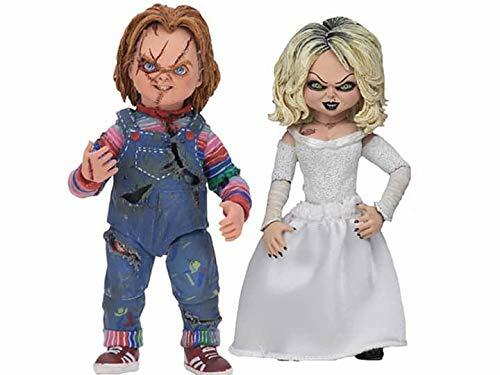 This ultimate action figure 2-Pack includes Chucky and Tiffany, who features a fabric skirt and an extra set of removable arms so she can wear her iconic leather jacket. 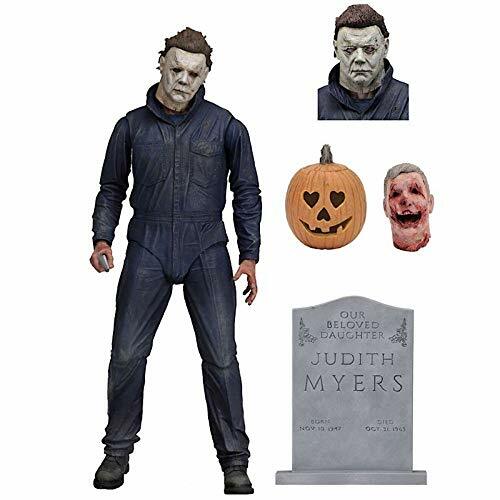 The set also includes tons of accessories to recreate the movie's best scenes: 6 interchangeable heads, 2 shovels, 2 pistols, 2 knives, bottle, baster, necklace and more! 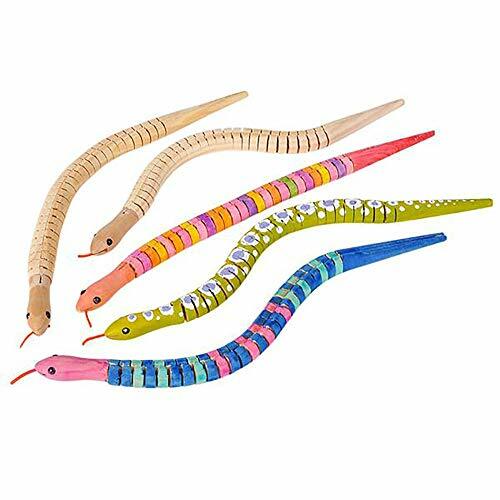 The figures stand 4" tall and have over 20 points of articulation. Collector-friendly deluxe window box packaging with opening flap. 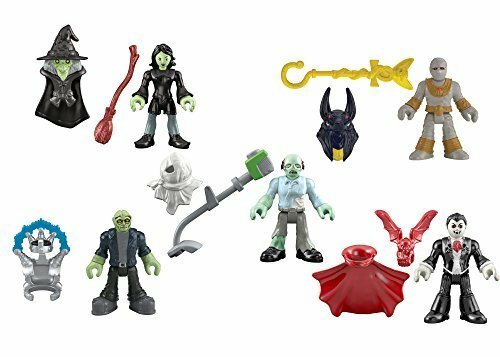 Your favorite henchmen are here to haunt you with the Halloween Micro Action Figures by Mega Bloks Despicable Me! 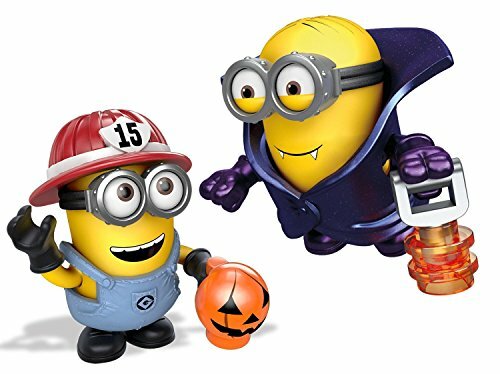 There are two limited edition, mysterious Minions to collect, including a Vampire Minion and Fire Fighter Minion, each with their own Halloween costume and special accessory! 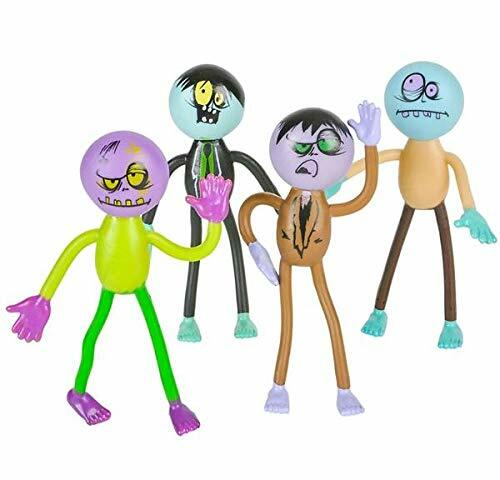 These Minions are sold separately and come in a blind bag, so you don't know which one you're going to get. But it won't matter, because you can mix and match their clothing, accessories and even arms and feet with any Minion from your loyal tribe! 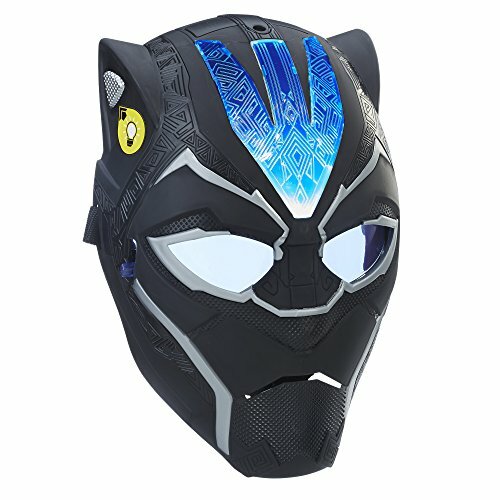 Ideal for ages 5 and up.